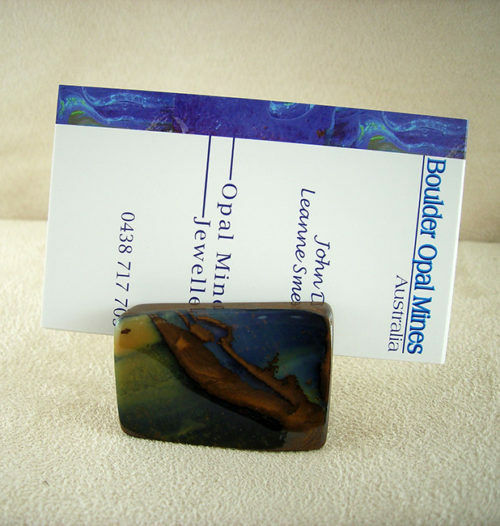 This eye catching boulder opal specimen has an organically undulating surface with highly polished turquoise blue opal colours that flow into mauve and coffee coloured opal the freeform shape invites you to touch. It stands 6cm tall, 7cm across at the base and 5cm deep at the base. 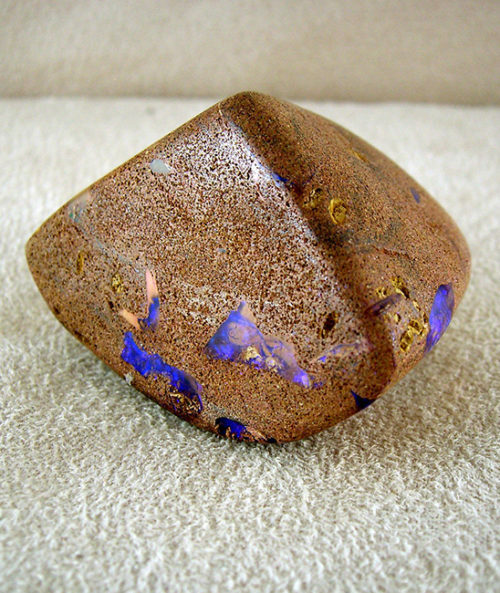 A boulder opal specimen that highlights the contrasting violet opal within the natural patterning of the highly polished ironstone. This specimen stands 6.5cm tall, 4.5cm across at the base and 3cm deep at the base. 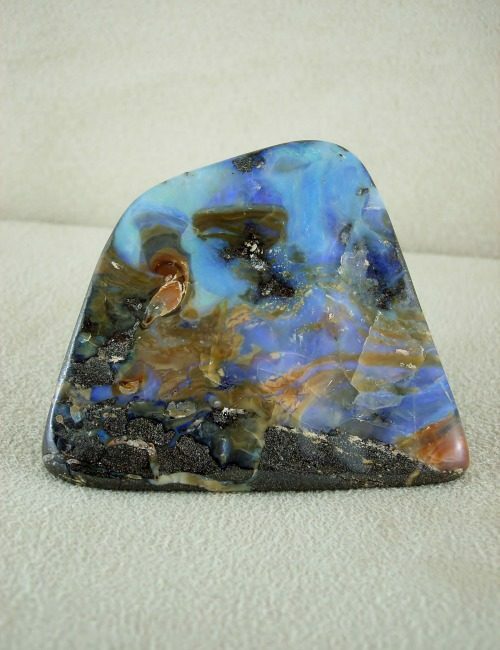 This eye catching boulder opal specimen has a highly polished organically undulating surface with blue opal colours that flow into coffee coloured opal. It stands 7cm tall, 4cm across at the base and 3cm deep at the base. 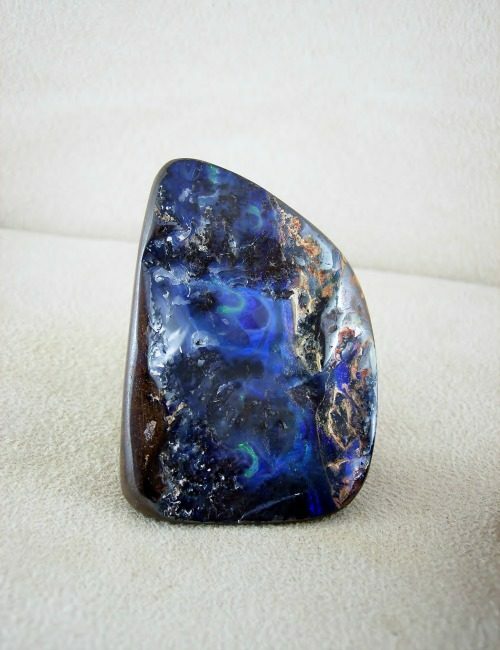 This boulder opal specimen has a unique look to the flowing pattern. 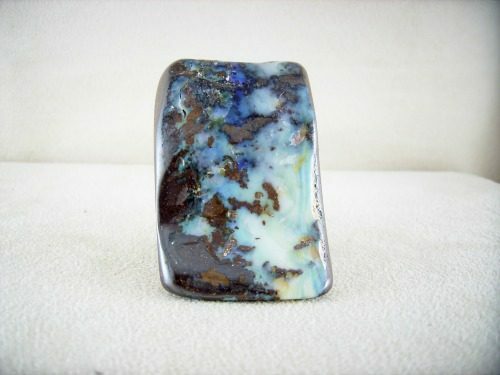 With swirling blue toned opal it is a stunner. The specimen stands 6cm tall, 4 cm across at the base, and 3.5cm deep at the base. 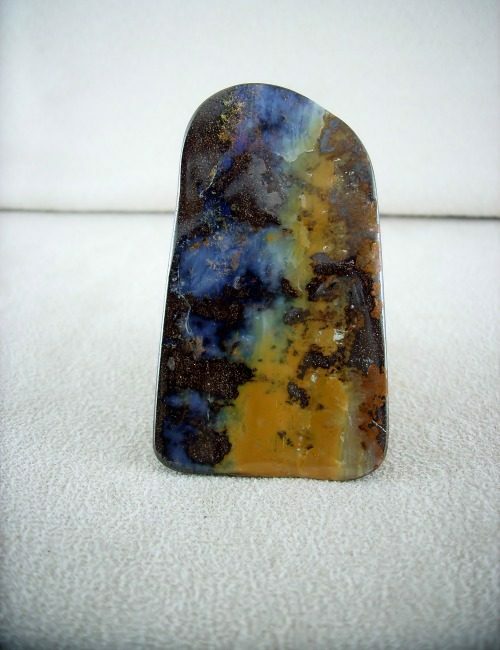 This patterned boulder opal matrix specimen has turquoise blue opal peeking from within the polished ironstone. The specimen stands 2cm high, measuring 3mm x 4mm at the base. 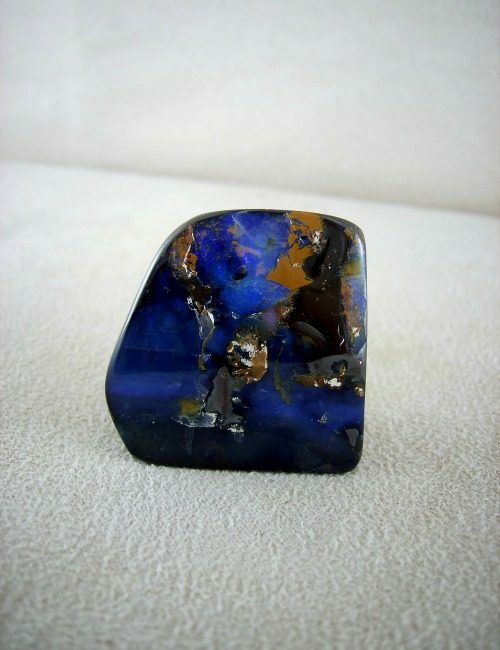 This eye catching boulder opal specimen has a highly polished surface with blue opal colours that flow into coffee coloured opal. It stands 3.5cm tall, and measures 3mm x 2mm at the base. 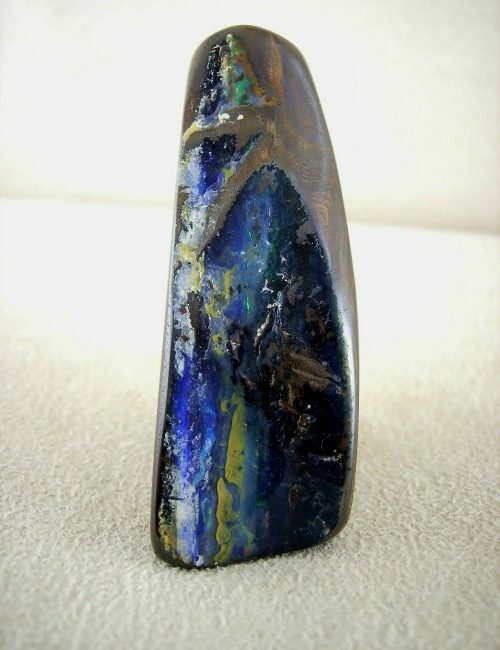 This boulder opal specimen has a unique look to the flowing pattern with blue and caramel opal tones that shimmer with green. The specimen stands 6cm tall, and measures 2cm x 3cm at the base. This intricately patterned boulder opal matrix specimen has so much detail within it that I found it impossible to capture it all in a photograph. 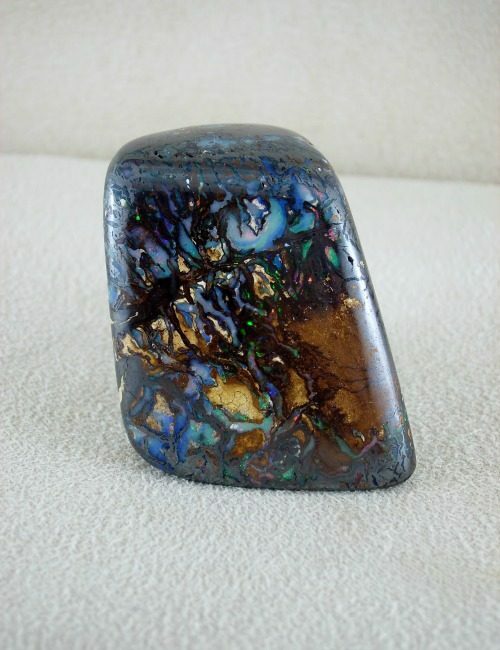 It has gorgeous highly polished chocolate brown ironstone with blue, turquoise and green opal colours. Mother Nature at her best has created another masterpiece! Boulder Opal Matrix Split. 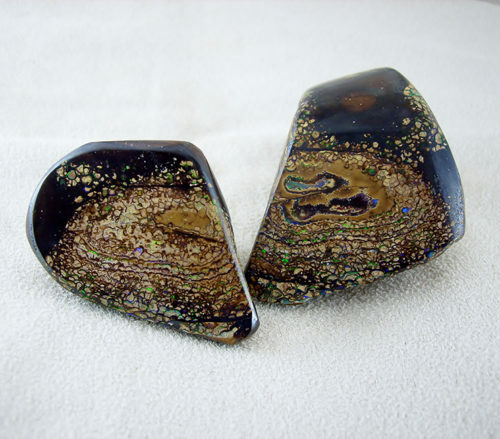 A good split pair with very interesting matrix pattern and colours' that have been polished on the face, yet left in the rough (in the natural state) on the sides and back. They are a great collector's pair and each measure 95mm x 55mm. Sold as a pair. 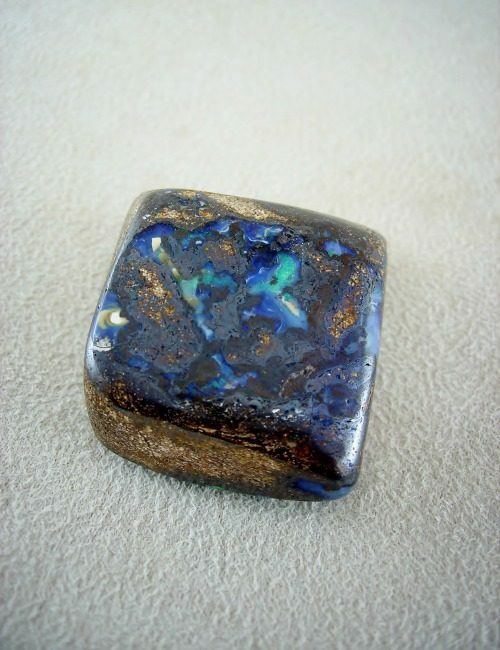 Mosaic opal belt buckle made with gold plate over a sterling silver base. The whole belt buckle is 70mm x 45mm with the mosaic opal measuring 24 x 17mm. 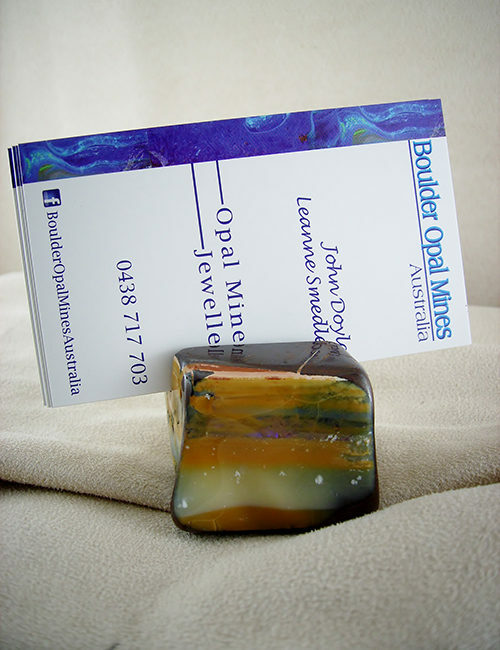 Business card holder made with polished boulder opal, stands 4.5cm tall, and measures 7cm x 6cm at base.